Thanks so much Debra for your comment and congratulations, and for hosting the FLOWERS FLOWERS FLOWERS contest. It was an honor to achieve a place in this contest with so many beautiful images. I enjoyed browsing some of your new artwork and I left a few L/F's and Tweet as a thank you. 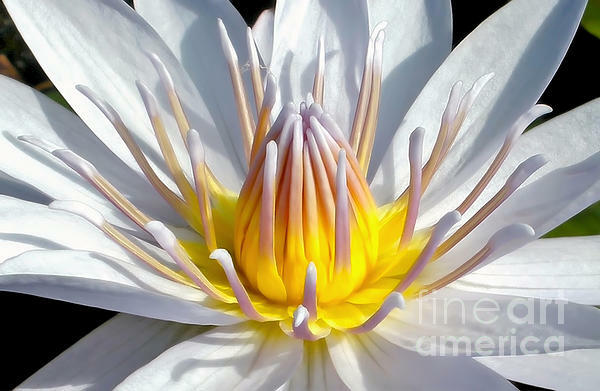 Thanks so much, Bruce :) I always love viewing your beautiful macro florals and left a few Likes/Favs + Tw in appreciation. Thanks very much, Cindy :) I loved viewing your new bird images and left a few likes/favs as a thank you. Thanks very much Marilyn for your lovely comment. I had pleasure visiting your new work and left a few votes in appreciation. Thank you, Maria :) I just visited your lovely new images and left a few votes as a thank you. Fantastic detail. 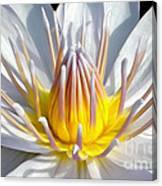 Congratulations on your 3rd place win in the recent Up Close and Personal - Floral Macros contest. l/f Kaye! You've captured the sun!! Wonderfully composed macro! Randy, thank you so very much for your very kind feedback and the Elvis v/f. Thank you also for the feature in Wisconsin Flowers and Scenery. 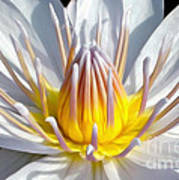 A most glorious and resplendent macro floral image I have had the pleasure to view, Kaye! Just love the colors, details, and your lighting and shadowing are superbly presented. You get the big, "Elvis" F/V on this outstanding imagery! Thanks for sharing this beauty with us, Kaye! Thank you Wanda for your kind feedback and f/v. Thanks for the kind comment and f/v, Chris. **ACHIEVED 4TH PLACE IN FAA CONTEST - "Flowers Flowers Flowers End Of Summer Photography" September 2018 **ACHIEVED 3RD PLACE IN FAA CONTEST - "May Logo Contest for Beautiful Flowers group members ONLY" May 2017 **ACHIEVED EQUAL 3RD PLACE IN FAA CONTEST - "Koi Fish and Water Lilies" April 2016 **ACHIEVED 3RD PLACE IN FAA CONTEST - Contest - Up Close and Personal - Floral Macros Only, February 2015 A close up view of a beautiful white Waterlily. THE FINE ART AMERICA LOGO WILL NOT APPEAR ON PURCHASED PRINTS OR PRODUCTS.